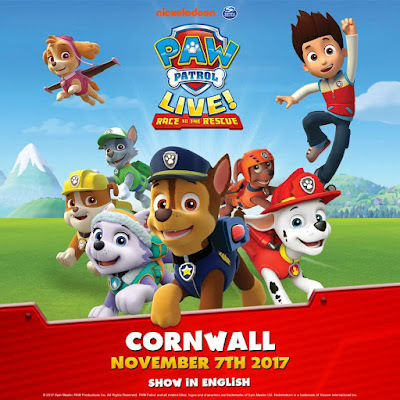 Based on hit preschool series PAW Patrol produced by Spin Master Entertainment and airs on TVOKids in Canada and on Nickelodeon worldwide, PAW Patrol Live! “Race To The Rescue” is coming to Cornwall in Eastern Ontario, Canada with its brand new tour, which brings everybody’s favorite pups to the stage for an action-packed, high-energy, musical adventure! On the day of the Great Race between Adventure Bay’s Mayor Goodway and Foggy Bottom’s Mayor Humdinger, but with the race about to begin, Mayor Goodway is nowhere to be found. Ryder summons Marshall, Chase, Skye, Rubble, Rocky, Zuma, and the newest pup, Everest, to rescue Mayor Goodway and to run the race in her place. 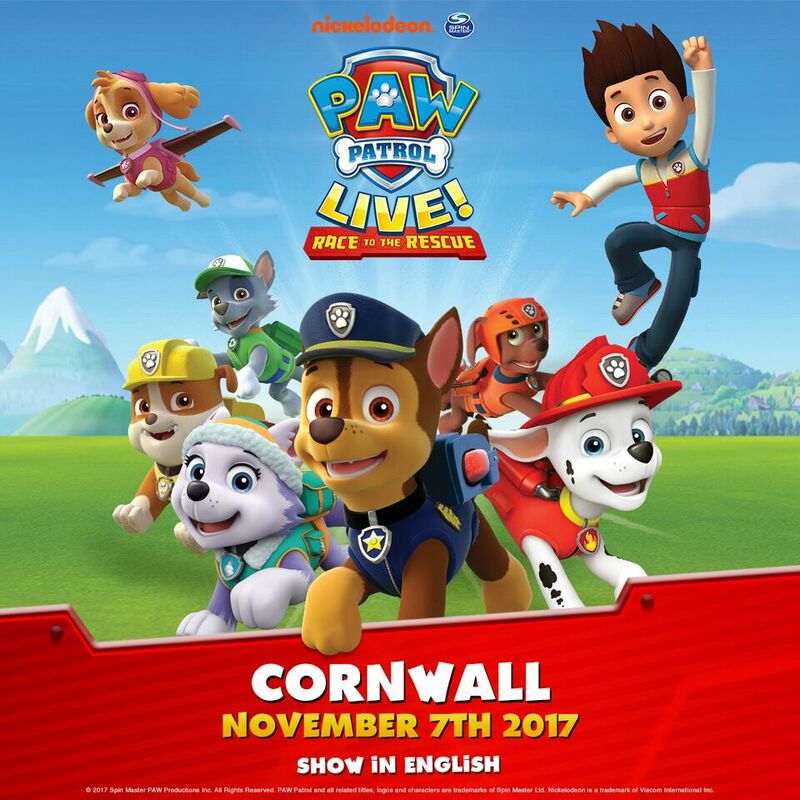 Cornwall families can purchase tickets now for the Tuesday, November 7th show held at Cornwall Civic Complex by visiting pawpatrollive.ca or over the phone at 1 855-561-3602. 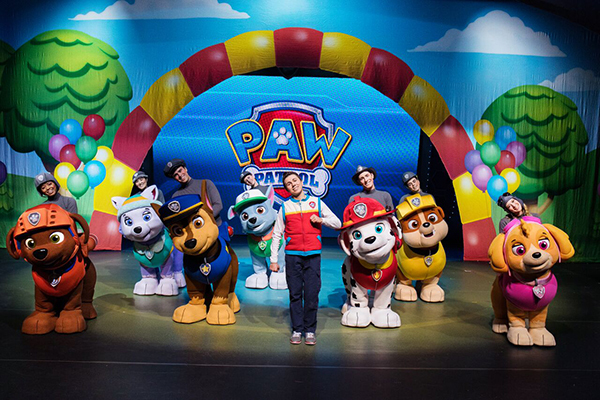 Featuring a cast of everybody’s favorite PAW Patrol characters, PAW Patrol Live! ‘’Race To The Rescue’’ shows that “no job is too big, no pup is too small,” and shares lessons for all ages about citizenship, social skills and problem-solving as the characters each use their unique skills and teamwork. The show engages audiences with Bunraku puppetry, an innovative costuming approach that brings the PAW Patrol characters to life on stage with their vehicles and packs. 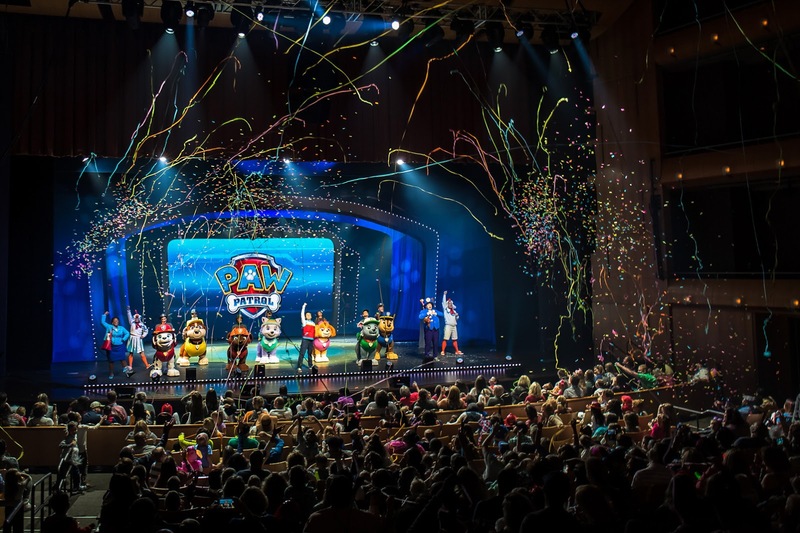 “We are thrilled to partner with VStar Entertainment Group, Life Like Touring, and TBOS Live to bring PAW Patrol Live! to families in Cornwall. 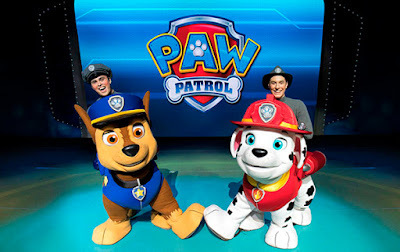 This unique stage production promises adventure at every turn, as the audience works together to help our heroic pups save the day,” said Thomas Kingsley, Director, Recreation Business Development for Nickelodeon. The performance features up-tempo music and a brand new cleverly written script that is a good introduction to live theater for kids. 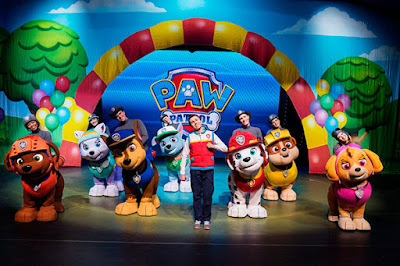 Classic theatrical scenery along with a high-tech video wall visually transports families to an authentic PAW Patrol environment, including locations from the TV series, like Adventure Bay, The Lookout, Seal Island, Farmer Yumi’s farm and Jake’s Mountain. Special interactive video allows the audience to participate via interviews, solve clues with the Pups, follow Mayor Goodway and much more. The show is presented in English and runs for 1 hour and 20 minutes, including two acts and an intermission. Tickets are available starting at $35.00 and can be purchased online at pawpatrollive.ca or over the phone at 1 855-561-3602. PAW Patrol Live ! "Race To The Rescue" is presented by Life Like Touring, VStar Entertainment Group and Nickelodeon. The show is produced in Ontario by TBOS Live. More Nick: PAW Patrol Live! "Race To The Rescue" To Visit North Bay In Ontario, Canada On Tuesday 28th November 2017! Original source: The Seeker Newspaper Cornwall; Additional source: Wikipedia. Follow NickALive! on Twitter, Tumblr, Google+, via RSS, on Instagram, and/or Facebook for the latest Nickelodeon Canada and PAW Patrol News and Highlights!